What do you do when you have a lot of buttermilk left over but no clue how to use it? You ask Facebook of course, or rather you friends on Facebook. That’s how I came across this recipe, which was generously provided by my friend Helene. This recipe is packed with good things, like fruit, bran and flax. All the good things you need for you body to be happy. It’s a big batch so I recruited my nieces and nephew to help me make them. 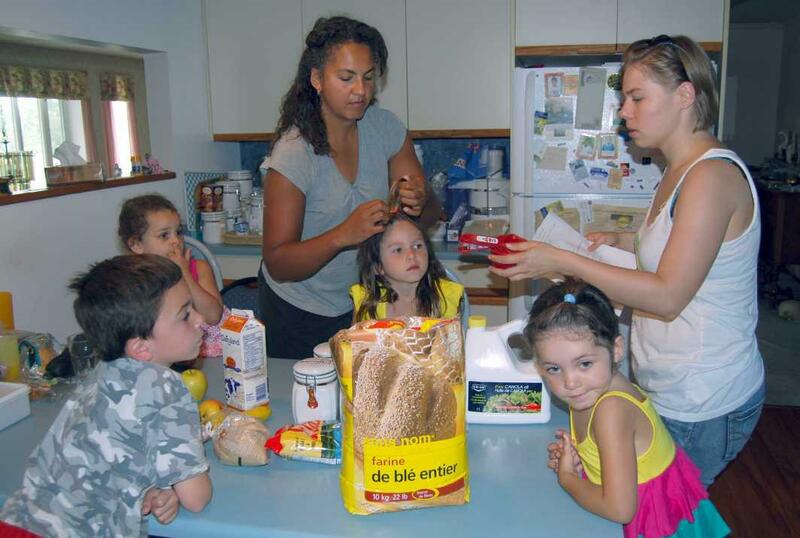 For one, you can teach them some counting, for the other, they are occupied and learn a bit about food making. Blend everything together but be gently, you do not want to over mix. Set aside for later use. 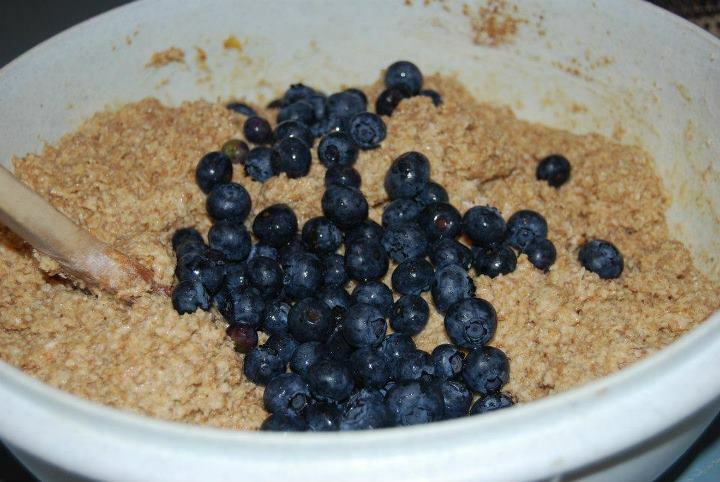 Mix together and add to the bran mix, gently combining again. Tip 1: I used only 2 cups of brown sugar, you can adjust to your liking. Combine in a separate bowl and add to the rest. Once again, mixing gently. Tip 2: I had whole almonds, cashews, and hazelnuts. To cut them up you can use either a blender or a wide bladed knife. Mix all under the dough carefully. Then either line or grease your muffin forms and start filling to the edge. These muffins don’t rise too much, so it is ok if the forms are full. Bake at 350°F for about 15 to 20 min depending on your oven. Then remove and let them stand for a bit before removing from the muffin tin. They were not sweet at all but very tasty. 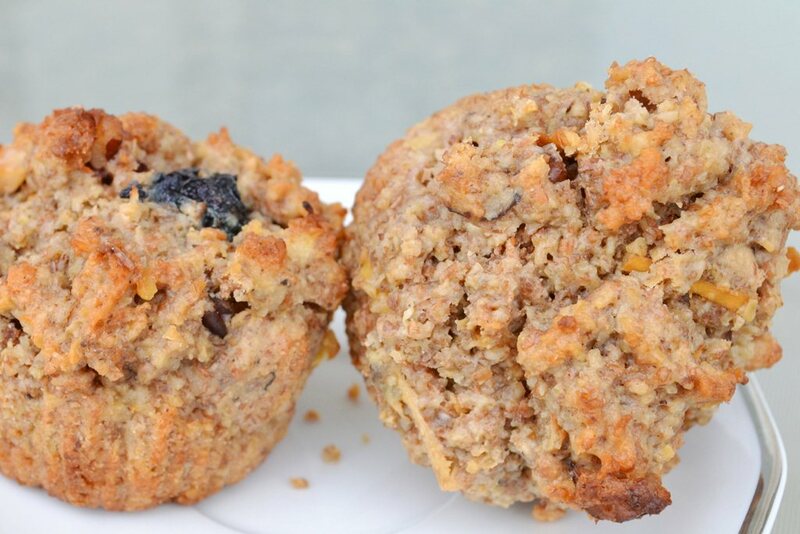 The nuts give the muffins a nice crunch and the fruit provide some flavour and sweetness. This is a perfect morning muffin or snack muffin in between. The kids enjoyed the mixing and all and were excited about the whole process. 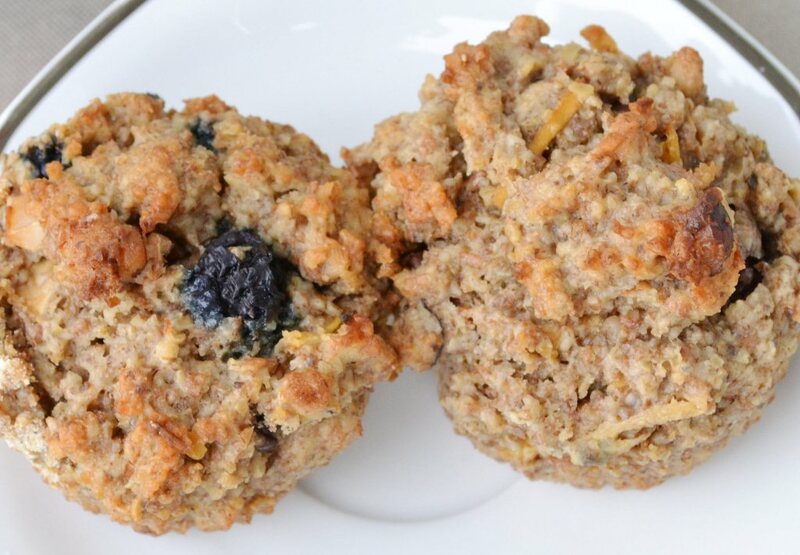 Posted in Muffins and tagged baking, bran, breakfast, flax, fruit, healthy, muffins, nuts, recipe. Bookmark the permalink.